The roads are full of danger even when the weather is perfect. During the winter months, however, the risks increase. Fortunately, there are several precautions that you can take and, if the winter does get the best of you, its important to make sure that you have adequate coverage. The right auto warranty will help ensure that you are covered in the event of any emergency. 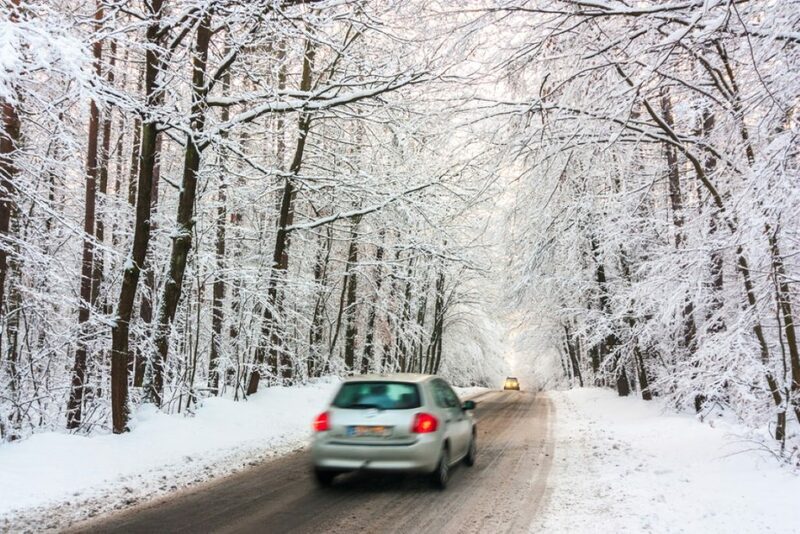 One of the riskiest parts of driving in winter is the fact that you are likely to encounter black ice. Black ice is the term used to describe water that has frozen on the road and, because it is clear, you cannot see this slipper trap. Be on the look out for patches of road that look darker than the rest, low-lying parts or sections of road near trees, bridges, underpasses, and when temperatures drop below 40 degrees F. All of these factors increase the chances of black ice. Another good precaution to remember is to make sure that you have the right tires. Winter tires give you more traction and don’t forget to inspect and check the tread before driving. You can also use four-wheel drive to make sure that you don’t slide around too much. Obviously decreasing your speed is a good idea but you should avoid hitting the brakes. Instead, simply ease off the accelerator. Leave extra space between yourself and other drivers and always slow down before intersections – even if the light is green. If you hit black ice, ease off the accelerator and, if your car has a manual transmission, you can use your gears to help slow down by dropping a gear or two. Do not drop gears too quickly or you could over rev your engine. Another problem common in winter is visibility. Not only do your windows fog up, but you may even encounter a frozen windshield when starting your car. Be sure to clean your windshield before driving. Even if it means that you will be a bit late, it’s better than the risk of having an accident. Check your windshield wipers and you can also cover your windshield at night or when parked for several hours during the day. Special covers help prevent ice from forming on your windshield. Run the defrosters on your front and rear windshield. Make sure that they work properly and do not drive until all windows are clear. Keep a de-icing solution in your car at all times just in case. Driving during a blizzard is obviously not recommended. Not only can winds push you around, but visibility is also very low, and you or another driver can easily lose control. If you are caught in the middle of a blizzard and visibility makes driving impossible, you should make sure that you get to a safe spot. This means pulling off the highway (if applicable) and finding a safe spot to park. Remain in your car and turn on your directional lights to warn other cars of your location. You can also use reflective triangles provided they don’t completely blow over in strong wind conditions. Only run your engine for about 10 minutes per hour so save fuel and to recharge your battery while heating your car. Make sure that you crack a window just enough to allow for some ventilation. Get out of your car and clear snow away from the exhaust pipe while you wait for help. Call your auto warranty provider immediately for speedy assistance. They will be able to offer you additional advice while sending somebody out to help you get to your destination safe and sound. Other common problems include battery failure and mechanical problems. Whether your car breaks down, you are in an accident, or the weather is simply too poor for you do continue driving, it’s always important to notify your car warranty provider. Keep their number on hand in your car at all times and, by calling to file a claim, you can rest assured that an approved roadside assistance service will be on the way in no time. For comprehensive and flexible car warranties by professionals, you can trust, call A-Protect Warranty today at 1-866-660-6444 or (416) 661-7444. This entry was posted in Uncategorized by Gilmedia. Bookmark the permalink.